Orlando Pirates coach Micho Sredojevic says the responsibility of scoring goals does not only lie with the strikers but with all the players on the pitch. 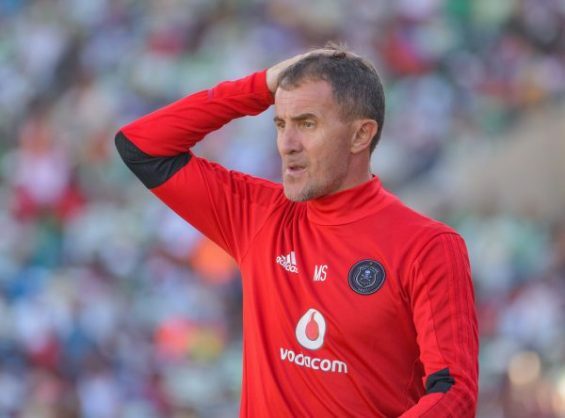 Micho’s team has not been in a goalscoring mood since the season started, with the team only managing to get the back of the net nine times, while conceding eight goals in 13 league games. “It is difficult for the strikers to score because the defence is very tight and put pressure on them. But we need to understand that the firepower of scoring needs to come from all over the pitch. Not just the strikers, other players need to come to the party,” said the Bucs coach. Thamsanqa Gabuza and Thabo Qalinge are joint top scorers at the club, with both players scoring three goals each in all competitions.